Libraries rely on library management systems to manage asset collections as well as relationships with their members. Library management systems help libraries keep track of their documents inventory and loans, and member subscriptions and profiles, sometimes for multiple physical locations. This type of software can be used by educational institutions’ libraries, as well as public or private libraries. Library patrons use library management systems to find, reserve, and loan documents while library staffs employ it to manage the acquisition, cataloging, and inventory of documents. Library management systems usually integrate with digital information repositories to allow access to electronic resources. Library management systems also needs to integrate with accounting solutions to manage payments and other financial transactions. Library Management reviews by real, verified users. Find unbiased ratings on user satisfaction, features, and price based on the most reviews available anywhere. Destiny Library Manager is an interactive solution that allows librarians and staff to keep real-time track of inventory and media assets and allows students digital means of discovery and reading. The Apollo™ ILS/LSP (Integrated Library System/Library Services Platform) is devoted solely to public libraries. It has exceedingly delighted customers, with a 99.4% retention rate. 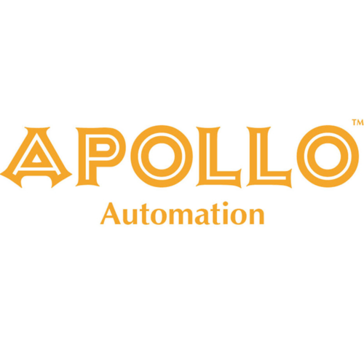 Apollo library automation has won the Product of the Year award for 2016 and 2017. Its hosted-only and multi-tenant architecture continually pays benefits to customers though faster feature development, faster/better service, hassle-free 3rd party integration, and world-class server management and up-time. Unique capabilities like Gabbie, 2-way texting and Reserve Express for subscribing to favorite authors further set Apollo apart. WorldShare Management Services (WMS) is an integrated suite of cloud-based library management applications. Alma is a library management solution that supports your library operations from selection to meta management, digitization, and fulfillment that helps you consolidate, manage and extend workflows systems and more. Sierra is a library system that provides automated workflows, integrated resource management, and open access to data. A platform with a built-in knowledge base for improved reference service. Millennium integrated library system (ILS) is a global library technology company. SirsiDynix Symphony provides a proven core for the next generation in library technology: the BLUEcloud LSP. LibraryWorld is a web-based library management system that allows you to create your library site, build your collection with applications to help you manage your collection and help it grow. The Polaris ILS is designed to provide a scalable software solution with powerful staff tools and an intuitive experience for patrons. Alexandria library automation software empowers librarians and patrons with customizable interfaces, set-up, and hosting options. Access your catalog from any device on any browser - no apps needed! Plus, with 24/7 customer support, we're here for you every step of the way. Insignia Library System is a full-featured library system (ILS Brochure). It can be installed as Windows-based or web based or web enabled, it has simple point-and-click navigation and is easy and fun for library patrons and staff. Koha.org offers a functionally advanced version of Koha and ready access to the most experienced Koha software support company in the industry, LibLime. LibraryH3lp is software used by libraries, educators, and non-profits for better customer service. Catalog management. Simple database management system for book collectors or very small libraries. EOS.Web is available in bundles of features assembled for academic and special libraries of all sorts. SirsiDynix Horizon is a foundational part of our BLUEcloud LSP. Horizon provides a stable, proven platform for BLUEcloud web clients like BLUEcloud Cataloging and Analytics. A tool to manage small libraries - either church library or office library. Books Database allows you to catalog your books automatically allowing you to merge information from multiple sites into one database. CyberTools for Libraries is a web-based, integrated, electronic resource management and customizable A-Z list for your resources with features to help you manage your online catalog and lists. Evolve Library is a library management system that is designed and built in-house with modules that are configurable to fit your library environments needs. Journal Finder is an A-Z list, link resolver and ERM solution that provides you access to your electronic content with a manageable user interface. LiBRARYSOFT is a network/cloud-based client-server solution that allows you to search from across your intranet or across the Internet for your information. OpenText Library Management allows you to consolidate physical and digital collections while managing your content, resources and more helping you make business decisions, manage money by centralizing knowledge assets, manage returns, protect capital, and more. Web-based event management application with online registration and public relation tools for libraries of all sizes. Voyager is the integrated library solution chosen by many of the world’s leading libraries to serve as the backbone of their service systems. This allows Voyager to interoperate with existing library systems and scale to accommodate future library needs. An open source enterprise-class library automation system that helps libraries manage, catalog, and circulate materials. LibGuru is a library management software that provides automation for everyday operations with circulation, acquisition, cataloguing, serials and more to help you manage your library. A print cost management solutions for small libraries. ResourceMate Essential is a solution that allows you to catalog resources, with searching and reporting capabilities and the ability to establish items that cannot be searched, while tracking pamphlets, flyers, brochures and more. Senayan, or full Senayan Library Management System (Slims), is a library management system software (library management system) open source under the GPL v3. SmartLibrary is a web-based library management system that provides features to help you manage multimedia content, and more to help you manage your resources and information. AutoLib software is a fully integrated, versatile, user-friendly, cost-effective and multi-user Library automation software. Standalone or networked cross-platform library, contact and roster management database based on the power of Filemaker Pro. Boopsie for Libraries provides a mobile platforms for libraries that allows you to have free e-books for your patrons 24/7. Comprehensive solution that enables libraries to catalog and process their MARC records. Concourse is an easy-to-use, feature rich, library automation solution for all types of libraries. Concourse automates all of your library tasks from cataloging, circulation, searching, inventory and more. STAR/Libraries is a web-based integrated library system with features that meet the needs of your library and information center that supports resources including technical reports, internal documents, web sites, and more. Library Management System with book Cataloging and different type of searching/browsing option to handle a Complete Library System. Eloquent Library contains all the functions available in traditional Integrated Library Systems (ILS), plus everything required to build and maintain a virtual library. Your patrons have the convenience of only one place to look. An open source platform for creating self-configuring repositories for libraries and the publishing industry. FIRST LMS is a library management suite that provides solutions for the information industry in library management, request management, learning and development management online access catalogue and more. Genesis G4 is an “ALL-INCLUSIVE” feature-rich Library Automation system and is considered to be one of the most robust and yet user-friendly tools available for Librarians today. The G4 Library Automation software can handle all aspects of Circulation, Cataloging, Textbook, Inventory, Reporting (simple & customizable), and Borrower Management. In addition, the G4 Library system creates and prints Barcodes for Items, Borrowers and Spine Labels across multiple collections. Because LRMS has always led the way in Library Automation, G4 has many other strong features that are not even offered in similar programs. Designed by Librarians for Librarians, because they know what's needed for their Library. 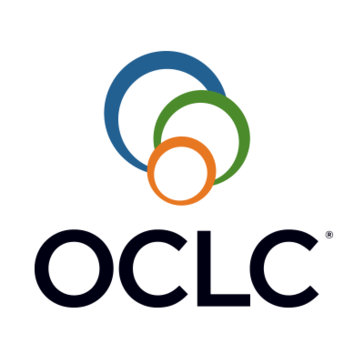 Easy-to-use, affordable, and complete library software for small school, church, community, non-profit, and business libraries. Libib is a website and app for private/home library cataloging. Library.Solution is a library automation system that provides features with a user interface to help manage web-based automation, touch screen interfaces, access to e-books and digital resources, automatic authority controls, real-time inventory, reports manager and more. Why Use Library Management Software? Who Uses Library Management Software? Libraries use library management software, also called an integrated library system (ILS), to organize all of their physical and digital assets, in addition to their relationships with their members. Library management solutions act as the central hub for all library-related tasks. Library management solutions allow libraries to become more effective and efficient, as well as drive member engagement. Library management software has brought libraries into the 21st century, enabling their digital transformation and making them more accessible to the digital-native generation. Improve Organization — Libraries thrive on proper organization, and library management software is all about improving organization within the library. Library management solutions drive the improved management of every facet of the library, including circulation and membership. Libraries can leverage the capabilities of a library management system to organize their acquisitions, catalog items, generate performance reports, and collect membership fees. Increase Efficiency — One of the main reasons to use library management software is the increase in efficiency that these systems provide. Libraries are all about keen organization, and having a centralized repository that contains detailed asset information is an excellent way to improve that organization. Increase Engagement — The opportunity to increase member engagement is one of the most useful benefits of modern-day library management solutions. Library management solutions typically contain member portals, through which library members can access all of their membership activity and information. Librarians — Librarians manage the library and its assets, so they are the employees interacting with the library management application the most. Members — Library management systems typically contain user interfaces for library members. Library members can use the interface to check out library events and manage the assets they’ve borrowed from the library. Cloud-Based — Cloud-based solutions are becoming increasingly popular within the library management solution sphere. On-Premise — This was the only type of solution available for many years, and many library management software vendors still offer on-premise solutions. Subscription — Subscription offerings require a monthly or yearly fee for application and data access. With a subscription offering, the vendor will often push through updates automatically and provide support services. Perpetual License — Libraries purchase the software and are responsible for it from then on. Data Management — Manages library data, which can include everything from assets to membership rosters. Barcoding and RFID — Library management software usually provides barcoding and RFID capabilities. This enables patrons to conduct self check-in and check-out of borrowed materials and improves the efficiency with which the library is run. Inventory Management — One of the most vital features that a library management software provides is the ability to manage all library inventory. Asset Acquisition Management — A library is constantly expanding its collection to provide its users with a current slate of offerings. In order to do that, it must acquire new assets. This feature manages the asset acquisition process from sourcing to purchase and storage. Circulation Management — Manages the books and other library assets that have been checked out and are currently in use by members. Membership Fee Collection — Collects fees from members. Mobility — Provides users with mobile access to the application, typically for library members. Digital Asset Library Integration — As digital assets have increased in prevalence, so has the need to manage their cataloging and access. This feature covers the management of those digital assets. Automated Cataloging — This feature handles the automatic cataloging of library assets, usually by using the RFID or barcode that’s been put on or attached to the asset. Cloud — In recent years, as in most industries, there has been a migration of library management solutions to the cloud. Cloud-based solutions are more flexible, easier to maintain, and accessible from anywhere. Digital Transformation — Digital transformation has swept through the library industry, changing the way in which the library is run and its assets are managed. Libraries are now offering programs to introduce students to this concept, including programming languages and virtual reality. Library management software will be the centralized hub through which the programmatic offerings of libraries are managed. Accounting — Library management software typically integrates with accounting software to round out the financial functionality of the solutions. Digital Content Providers — Library management applications often integrate with digital content providers, who can stock the library with digital assets. As digital assets become more desired by library members, it becomes increasingly important for libraries to maintain up-to-date content libraries. This is done through built-in integrations with providers of that content. Hi there! Can I help you find the best Library Management solutions?